Twenty years ago, my mother sent me three manila envelopes, each containing about 70 faded aerograms. I had typed these letters on a handbag sized Olivetti manual and mailed them home from Tanganyika in the early 1960’s. Suddenly a part of my almost forgotten past came alive again. With encouragement and direction from my friend and later husband, creative writing professor James Reiss, I forged segments from these 200 letters into a manuscript. For years no one was interested in my story until I had the good fortune of meeting Ami Kaye from Glass Lyre Press. She accepted the work and brought out The Njombe Road last month. I’m thrilled to have the book; it’s a piece of living history. Throughout the memoir that traces twenty months Robert Wendel and I spent teaching and traveling in East Africa, food and cooking experiences kept me grounded. I learned basics of Indian cooking from the wives of village shop keepers, retraced pioneer practices of preserving and knew that if we wanted ketchup or peanut butter, I’d need to make it from scratch. Basic produce was limited and seasonal, but the shops with no electricity stocked lentils and rice. I had only known the brown lentils common in our markets, so the world of Chana, Toor, Mung, Urad was all new to me. Mr. Pillay, a Bengali teacher on our secondary boys boarding school staff, prepared one of our first Indian suppers. 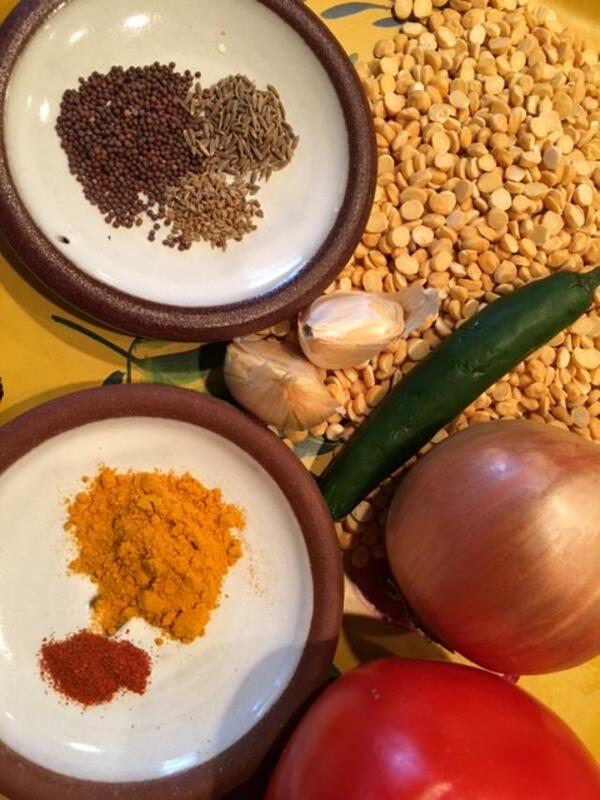 I still make Pillay’s Dal just as I watched him in his tiny kitchen. This was my first taste of the somewhat medicinal ajwain seeds and the tang of tamarind. Recalling this soup still sends shivers down my spine and I see us sitting there deep in the bush around a wooden table under light from a pressure lamp savoring soup with our new friend. 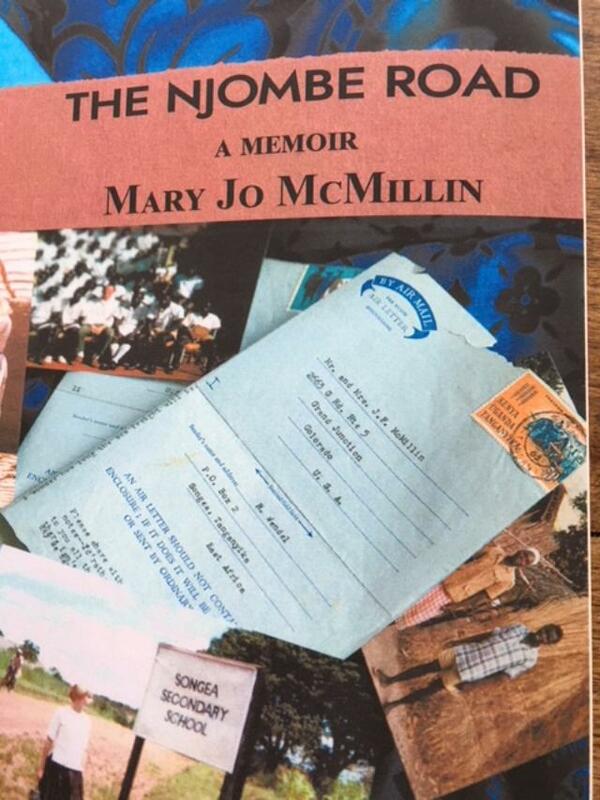 If you’d like to travel back fifty-four years and explore East Africa at that time, you may order The Njombe Road from any bookstore or Amazon. 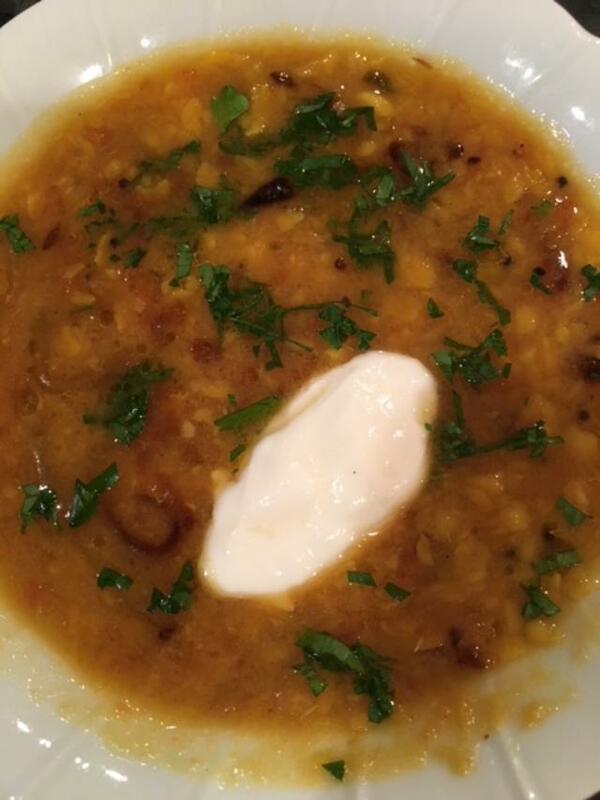 When the dal has softened. Add tamarind, chopped tomato, and salt to taste. Remove the chili and for added spiciness, chop the cooked chili and return it to the soup. Add 2 cups additional water if lentils seem too thick and whisk to break up the lentils. Simmer 5 minutes. Add seed scented oil with fried onion. Taste for seasonings, adding a generous squeeze of limejuice for added tartness, and a pinch cayenne or powdered chili for zest. Serve the soup in bowls with a spoonful of yogurt and sprinkle chopped cilantro over the top. Serves 4-6. You are currently browsing the Mary Jo's Kitchen blog archives for October, 2017.